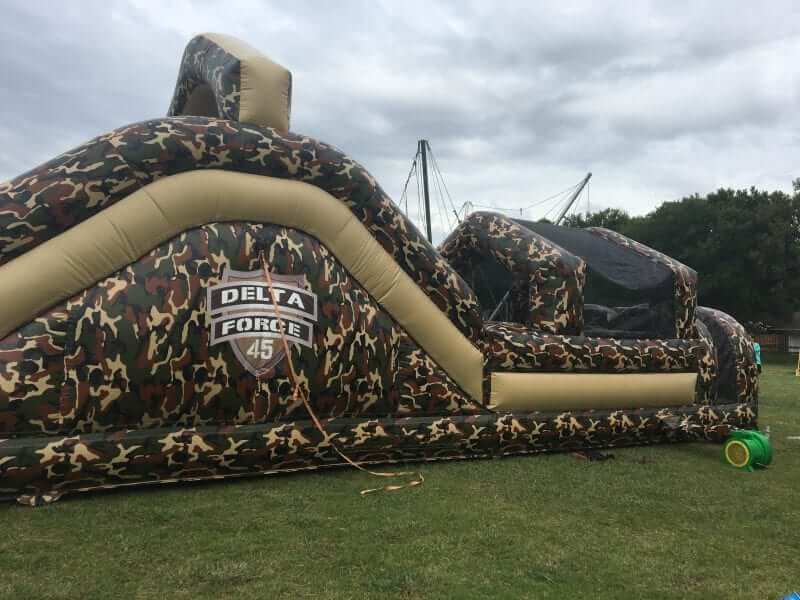 The Delta Force obstacle course is our most popular military obstacle course. 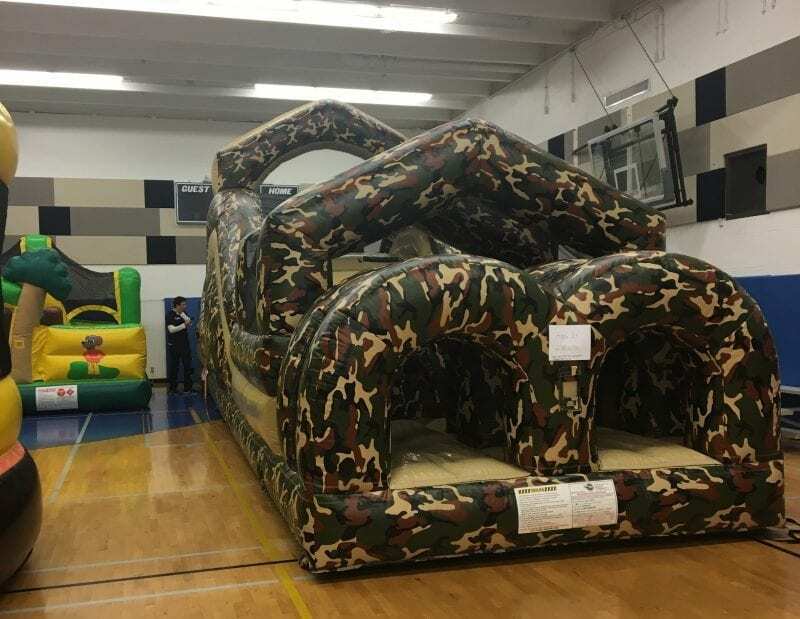 This obstacle course is a favorite for schools and large birthday events. This is a go to obstacle course for all ages. Great for indoors, outdoors and any type of event. Prepare for your mission. 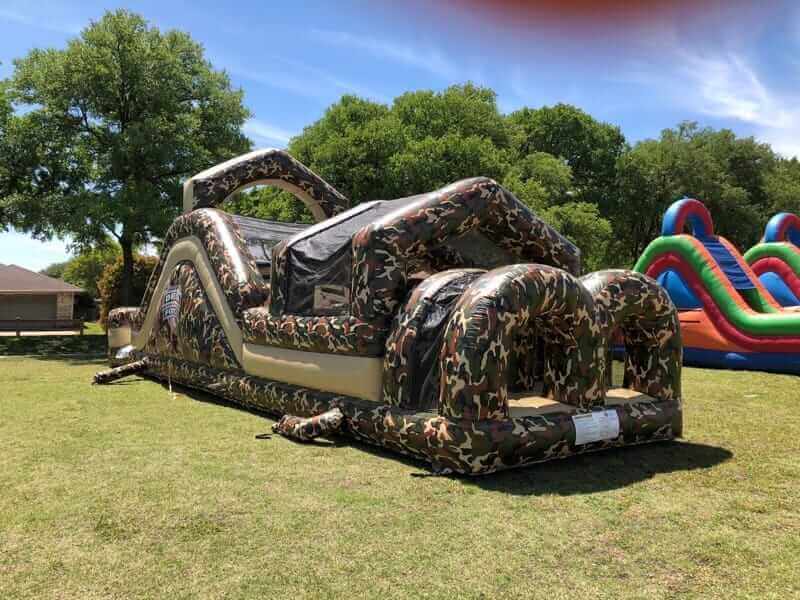 Enjoy the Delta Force Obstacle Course Rentals. This military obstacle course has 45 feet of climbing, jumping and slides. It is great for every event. This obstacle course rental requires (2) 20 amp circuits of power.